Jigaro Kano, the founder of Judo, is credited with first using belts of various colours to indicate proficiency and progression. Originally, there were only three ranks: Beginner (new, clean, White Belt), Intermediate (dirty from training, Brown Belt) and Advanced (even dirtier from training, Black Belt). Karate teachers took up the idea of colours, but there are variations in the order of colours used depending on the Karate style and country. Obis, or belts, are worn in a variety of martial arts including Karate. They are earned by students showing a commitment to training, together with a practical examination. Typically, the belt will be about 5 cms in width and made from thick cotton. Depending on the level (minor/Kyu to major/Dan), belts will either have a uniform colour or have one or two stripes of white or a contrasting colour. 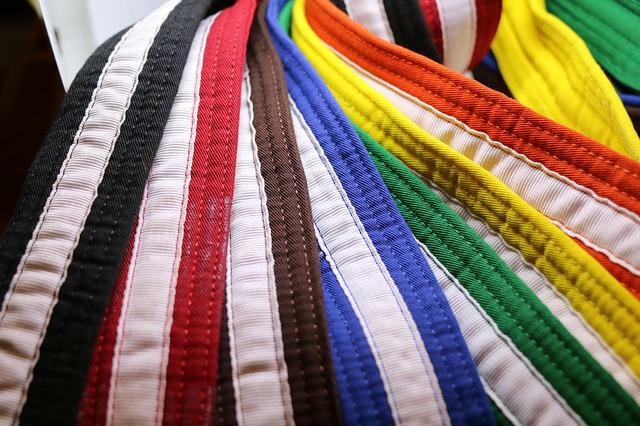 Whilst the different styles of Karate all use the coloured belt system to denote rank or grade, the actual colours, stripes and order vary between styles. As an example, in Shokotan Karate the “minor” or Kyu grades start with Beginner (White Belt). This is followed by 9th Kyu (Orange) and students work up the grades through Red, Yellow, Green, Purple, Purple/White stripe, Brown, Brown/White stripe to Brown/2 White stripes (1st Kyu). 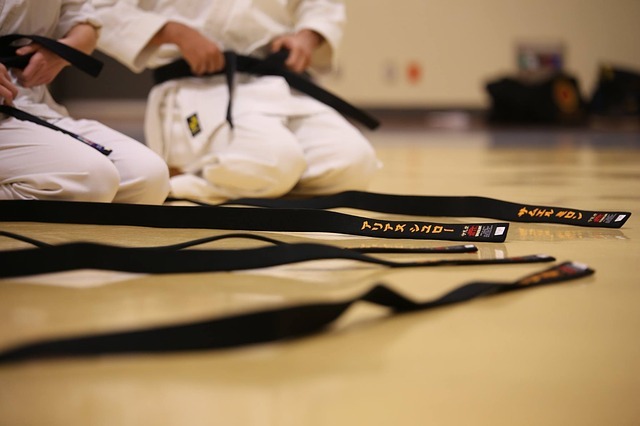 Having reached 1st Kyu, students will then progress to the “major” or Dan grades, this time starting at 1st Dan and working up to 10th Dan – All wear a Black Belt. Dan grades 7-10 are honorary and usually awarded for special merit or age. Wado-ryu and Shito-ryu Karate styles use essentially the same colours, just in slightly different orders for the kyu grades. Shito-Ryu uses black and blue belts for Dan levels.